Teton Aviation has one of the most diverse and dynamic flight schools in the country. If you are a prospective new student, call to schedule a discounted “Introductory Flight.” If you are looking to add a rating or endorsement to your aviation toolkit, check out our offerings below. Have you ever dreamed of flying an airplane? Here is your chance to take the controls and find out if flying is right for you! Teton Aviation Center offers a deeply discounted Introductory Flight, designed to take an aspiring pilot aloft for a brief flight with one of our experienced instructors. Following your flight you will sit down with your instructor to review our program and the FAA requirements for obtaining your Private Pilot Certificate. This flight makes a great gift for Christmas, birthdays, Fathers Day, Mothers Day, or just about any occasion. Take advantage of this great value and realize your dreams of flight today! Teton Aviation offers a structured Private Pilot program based upon our integrated four-stage syllabus. Ground school is taught concurrently with flight training to maximize contextual learning. Our program features one-on-one instruction which can easily be customized to meet each individual student’s needs. 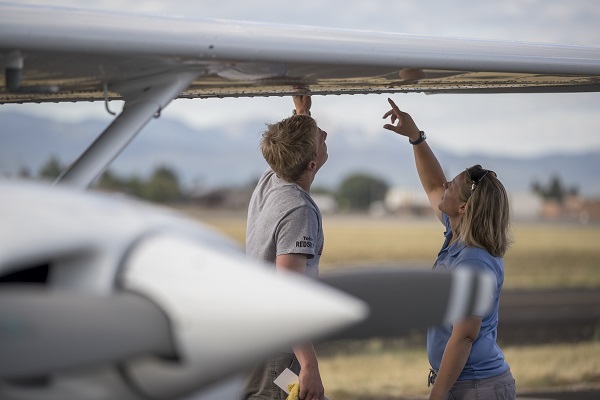 Our students benefit from learning at a non-towered mountain airport, with easy access to nearby tower-controlled Jackson Hole and Idaho Falls. Students will train in our upgraded Cessna 172 and Cessna 172XP. Based on 45 hours of flight, plus 15 hours of ground school. Recommended Frequency of lessons: 2-3 times per week. 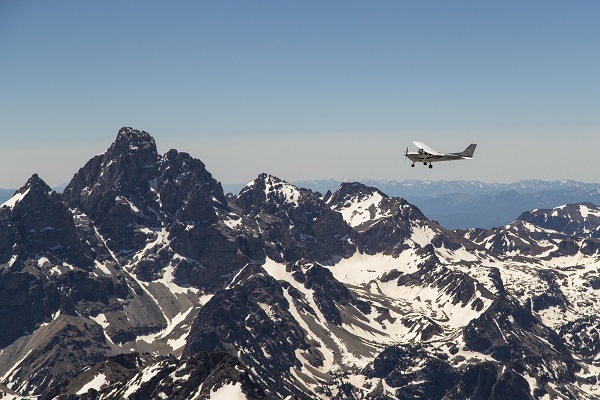 This course is recommended for all pilots who wish to rent or train at Teton Aviation who have not received previous mountain flying instruction. Training consists of a 1.5 hour ground school and a mountain cross-country flight with two mountain range crossings, and landings at two different mountain airports. It may be some of the most valuable training you ever receive! The Instrument Rating is the next step after the Private Pilot certificate for many pilots. Instrument training will take you to the next level in aircraft control, weather planning, situational awareness and overall professionalism of your pilot skills. If you have graduated to airplane ownership, the Instrument Rating can result in lowered insurance premiums. Most importantly, this rating might just save your life one day! Based upon 40 hours of flight plus, 15 hours of ground school. Looking to separate yourself from the average flying herd? Then this may be one of the best endorsements that you can get! Any pilot will benefit from learning how to operate a tailwheel aircraft. While not difficult, the intricacies needed to fly our Husky will sharpen your stick and rudder skills and make you a better pilot. It’s real flying!